We don’t typically think about planning for the unexpected in our businesses (because we’re not expecting it! ), but it’s vital in order to keep things running when you can’t work. Meg found herself suddenly needing to take unexpected time off because of some health issues, which taught her a lot about preparing her freelance business for a leave of absence. Learn more about it on her website! We learned so much valuable information on this episode, and it doesn’t just apply to independent contractors. It applies to every business! If your business can’t run without you, even for a day, start now to implement these tips so you can keep things running smoothly no matter what life throws your way. For more tips, especially for Pinterest VAs, check out Episode 6: How to Manage Multiple Pinterest Accounts with Google Profiles. This game-changing hack will help you streamline your workflow and stay organized! On today’s episode, Annette and guest host Meg Bateman of MegBateman.com talk about something most VAs and other independent contractors don’t think about much—how to plan for expected (or unexpected!) personal time off. And stick around for today’s peculiar pin—cooking chicken in milk. Independent contractors don’t get paid unless they work. If you need to take time off, the only way to keep getting paid is to keep the workflow going. Work ahead at least a week, but two is even better. This doesn’t just give you a cushion for necessary time off, it will also reduce your stress! This might be a virtual assistant (or even a spouse), but someone needs to be able to take over for you when you’re “out of the office.” It’s also smart to consider a backup for your backup in case they also need to take some time off at the same time as you! If you don’t have a backup person, consider your professional network. Instead of seeing them as your competition, approach a trusted colleague with a win-win collaboration. If you can cover for each other in the event of a vacation, surgery, or family emergency, your business will have an extra layer of protection without adding an additional team member. Keep all your information in one place with the capability to share access. Evernote, Google Docs, and Google Keep are all great options. If you have to take PTO, a quick check-in email is helpful so they understand that service will continue uninterrupted, when you’ll back, etc. Going back to work can be harder than preparing for leave. When you’re back in the office, you may need some “recovery time.” Whether your leave is vacation or medical, it may take you a while to get back into the swing of work, so take this into account when you’re working to get ahead. It may take some time to implement all these action steps, but the results will be well worth the effort. 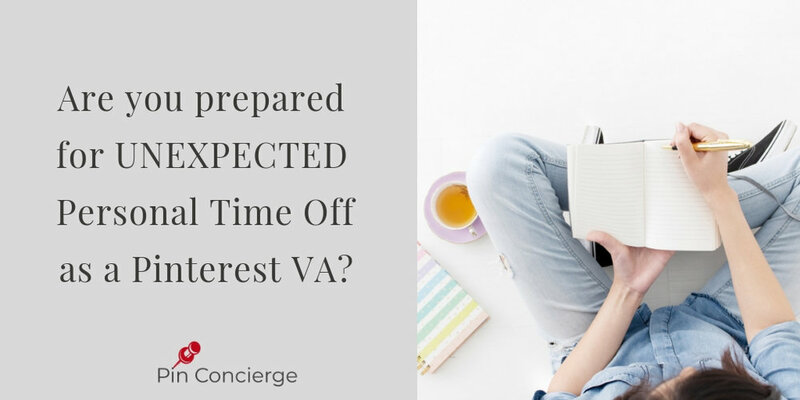 Not only will your business run smoothly in case of planned or unplanned time off, but your stress load will decrease significantly knowing you’re prepared! Huge thanks to Meg for this incredibly helpful information! If you know someone who could benefit from this information, please share the podcast or this blog post. To connect with Meg online, visit her website MegBateman.com or on Facebook or Instagram (you can follow her healing journey here). Don’t forget to check out today’s Peculiar Pin How to Cook Chicken in Milk, and follow our peculiar pins board for future ones.